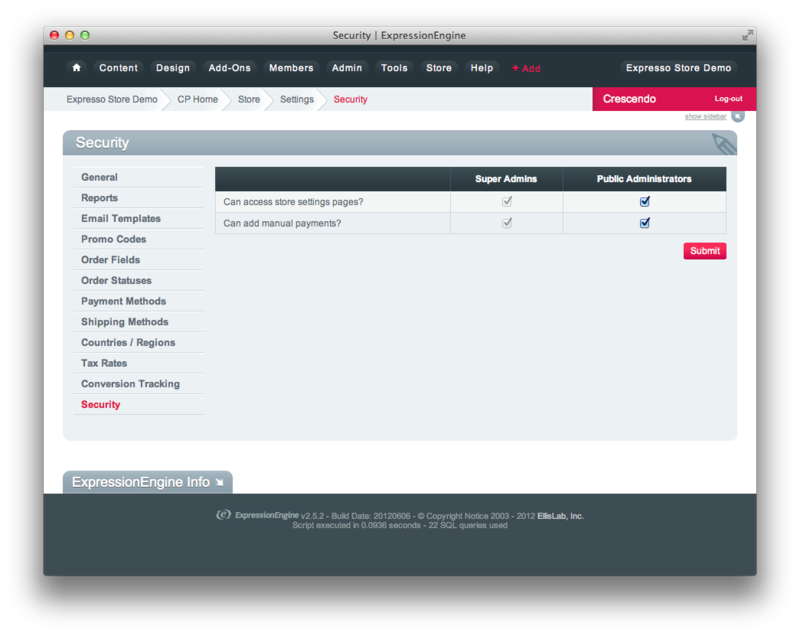 The Security screen allows you to restrict actions to only certain member groups. Note that these settings only apply to members to already have control panel access. They will have no effect on members who cannot already access the Store control panel. Without this privilege, members with control panel will only be able see the Dashboard, Orders, Inventory, and Reports. This is a good setting to prevent members changing important settings relating to your online store. This privilege allows members to record manual payments against orders. This can be done from the Order Details screen.